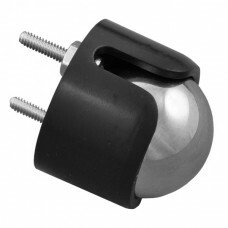 This metal ball caster wheel uses a 3/4 inch ball to roll around in any direction. 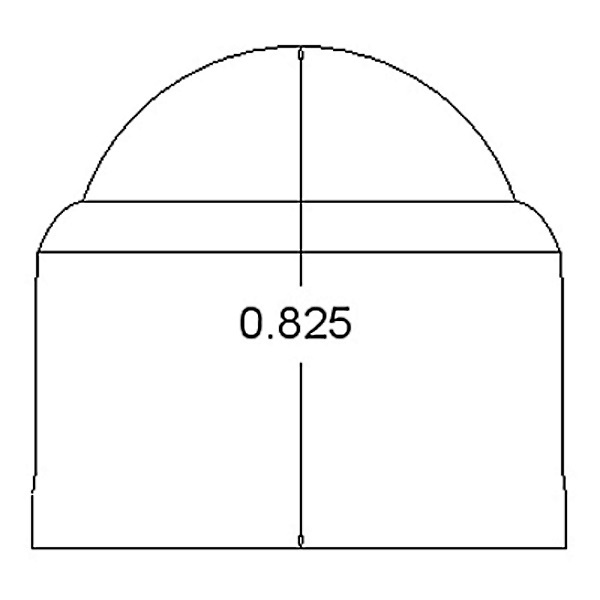 It is about an inch tall. 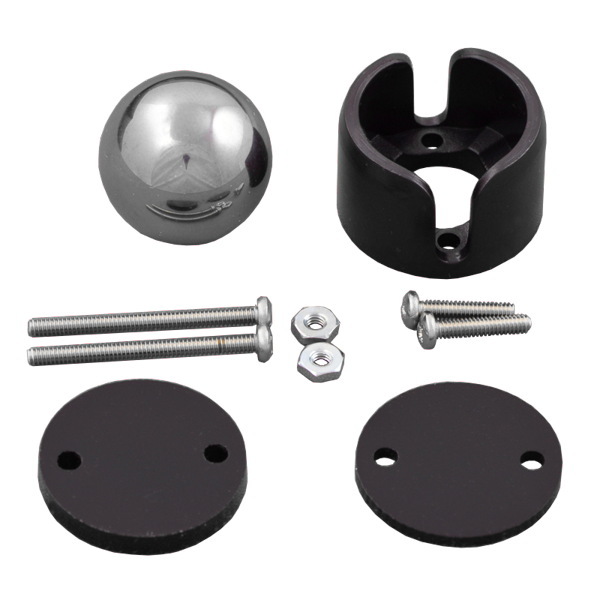 This ball caster wheel kit includes an ABS plastic housing, a 3/4 inch diameter metal ball, a pair of #2 mounting screws and two optional spacer pieces. 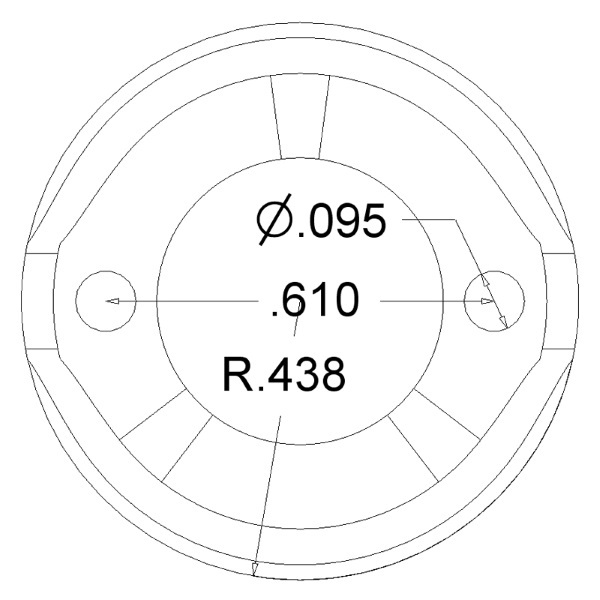 The height of the caster wheel can be adjusted from 0.83 inches to about 1.1 inches by using the included 1/8 and 1/16 inch thick spacer pieces. This metal ball caster wheel is designed for small robot projects and may not roll properly when carrying more than a few pounds.